This week’s photo challenge is HOME. 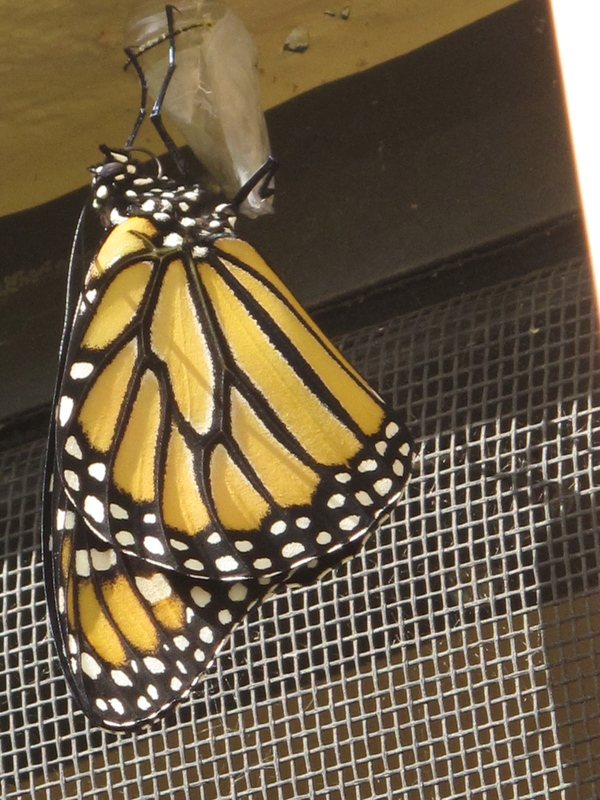 I snapped this picture as I watched a butterfly emerge from its Home of about 2 weeks. 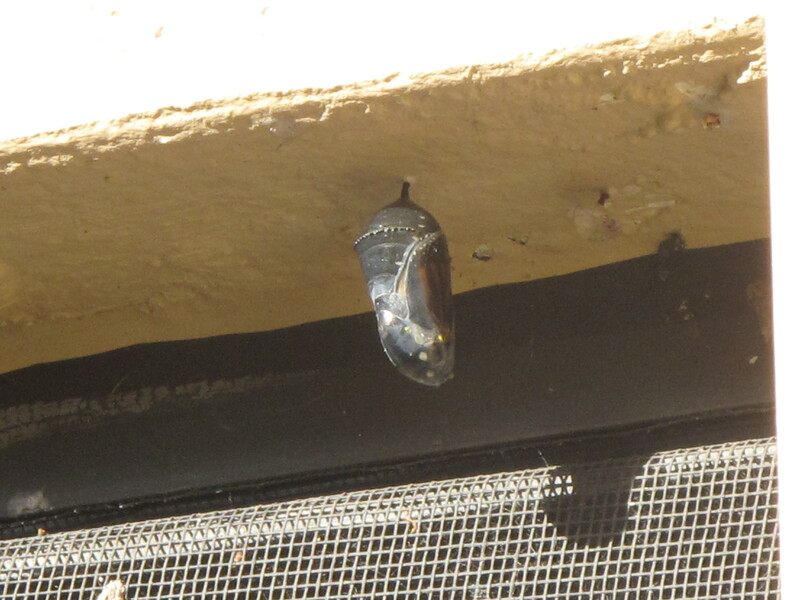 The butterfly is about to emerge, as it has turned from jewel-green to black and orange. He is clinging on to the old home while his wings are drying. Next, For Sale sign up and looking for new Home. I chose to interpret this week’s photo challenge of the word UNIQUE as Michelle did, offering her submission of an open red tulip bloom in a sea of yellow buds…UNEXPECTED. As I look back, my trip to Egypt, in itself UNEXPECTED, was full of UNIQUE experiences at every turn. This is a country so rich with history and artifacts, many of them superbly preserved, that it is a wondrous and definitely Unique experience! I think my first unexpected jolt was the Giza pyramids themselves. Close your eyes, imagine…PYRAMIDS, and you are in the middle of a barren, expansive desert…correct? Well, in fact, they are just minutes outside the city limits, visible from just about everywhere which shattered the image I had of needing a camel trek of several days to reach them. It took us only 20 minutes by bus to reach the site from our hotel, and yes, if you turn your back on the city and look out over the plateau, the stately pyramids DO look surrounded by nothing but endless desert. They are grand, mysterious, unique in every way…and city-accessible.